Newport Folk Festival 1965, soundcheck. DYLAN GOES ELECTRIC with the Paul Butterfield Blues Band. Left to right: MICHAEL BLOOMFIELD, BOB DYLAN, SAM LAY (drums), JEROME ARNOLD (bass player), BARRY GOLDBERG (organ), and ELVIN BISHOP (behind Dylan). 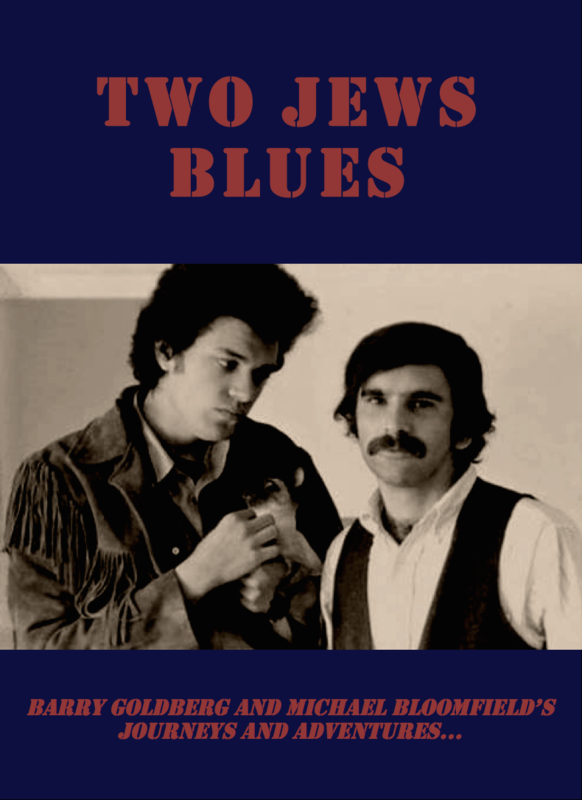 MIchael Bloomfield and Barry Goldberg, Chicago, IL. Stephen Stills, Kenny Wayne Shepherd and Barry Goldberg, before 'hitting the road', March, 2016. Stephen Stills, Kenny Wayne Shepherd and Barry Goldberg. Bob Dylan teaching Barry the chords to "Like A Rolling Stone". At the 'Bottom Trim' in New York City, 1975. Barry Goldberg performing at The Rides concert 2014. Barry Goldberg, Stephen Stills and John Mayer. Aram Goldberg photographing Barry perform at Blues Festival. During the recording of George Burns' album. Los Angeles, 1965. Barry Goldberg and Percy Sledge at the House of Blues, Los Angeles. Percy Sledge performing at the House of Blues, Los Angeles CA. Sandra Dee and Robbie and the Troubadours. Rhythm section, Muscle Shoals. From left to right: David Hood (bass player), Barry Goldberg, Jerry Masters (engineer), Roger Hawkins (drummer) and Eddie Hintin (guitar). Bob Dylan (left) and Barry Goldberg (right). Barry Goldberg, Jonathan Wilson and Jackson Browne at the Troubadour. Muddy Water’s Tribute Concert Kennedy Center, Washington, October 11th 1997. From Left: Harvey Brookes (bassist), Barry Goldberg (organ) and Michael Bloomfield (guitar). On the road with Kenny Wayne Shepherd. The Rides' "Can't Get Enough" tour November 2013. "How Rock & Rolle Got the Blues." Waiting to perform at the Nassau Colliseum, 1975. Barry Goldberg and Michael Bloomfield in the locker rooms of the New York Islanders Hockey team. "Burried Alive in the Blues"
BARRY GOLDBERG album cover artwork, by Gail Goldberg. 1974 Barry Goldberg (Atco LP) produced by Bob Dylan and Jerry Wexler.